The 52nd Fort Lauderdale International Boat Show is set to showcase some incredible yachts and tenders in the USA yachting capital. Some of these were on show at Monaco and are making their way across the pond to Fort Lauderdale for their American debuts, but several are making their world debuts at the show. We profile some of the debutants and must-sees in part 1 of a three-part series. 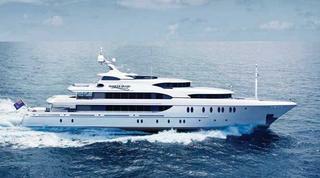 American builder Newcastle’s brand new launch will be making her world debut at the Fort Lauderdale show. The full-displacement steel vessel features naval architecture and exterior styling by Murray & Associates with interior design by Claudette Bonville. She’ll sleep 13 guests in seven cabins, including the master located forward on the skylounge deck and surrounded by windows that provide amazing vistas. 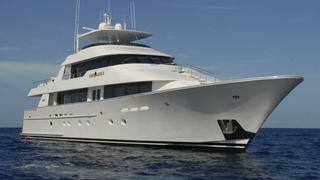 Harbour Island is listed for sale with International Yacht Collection. Trinity’s recently delivered 58.2 metre yacht breaks free of the classic Trinity exterior styling and wows with a glamorous Hollywood-inspired, white-and-black interior by Carol Williamson & Associates. An impressive art collection and more than 100 fuchsia pillows provide a colour pop on the sundeck. She is the first fully custom yacht for an owner intent on living life to the fullest. 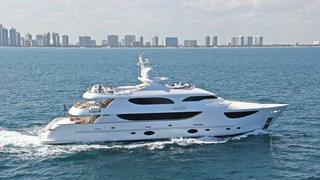 Carpe Diem is listed for charter or sale with International Yacht Collection. Semi-custom US builder Westport will have its popular 130 and 112 models on display. The tri-deck 130 features a proven hull design by Bill Garden while the 112’s hull is by Jack Sarin. Both models show off the builder’s dedication to providing a proven platform with room for customisation. Westport 130s on show will include Miss Michelle (2009), Mary Alice II (2002), and Resolute (2009). 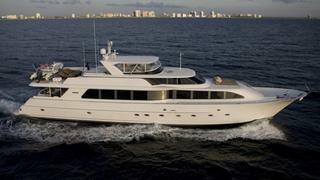 Westport 112s on show include Resilience (1999), Estancia (2008), Ubiquitious and a new model. Hargrave’s largest yacht to date made her debut at the Miami show in February and will be showing off her unique design in Fort Lauderdale for the first time. The third yacht for a hands-on, repeat Hargrave owner, DREAmer is a departure from the builder’s previous launches. 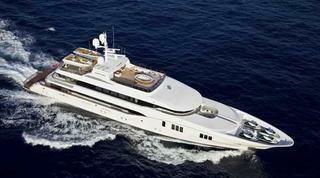 She combines a European design ethos with a spacious American-yacht layout. DREAmer is listed for sale with Hargrave.